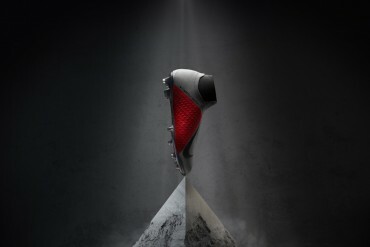 Whilst throwing a birthday bash for a pair of football boots seems a touch excessive, the new Umbro Speciali 92 is definitely a boot deserving of such an honour. 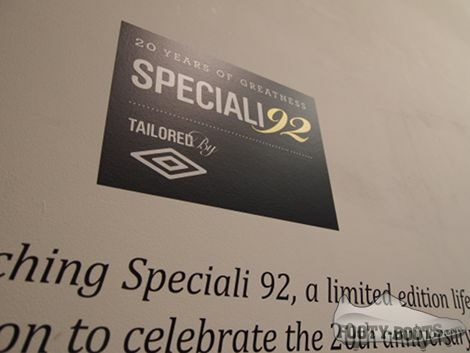 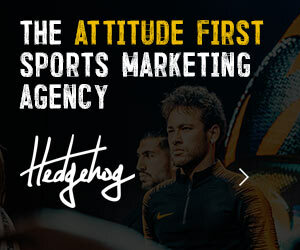 The whole evening took place in a swanky gallery in London, where the walls were adorned with tasteful images of the new Umbro Speciali 92 collection of apparel and football boots, sound-tracked by the legendary Jazzy B – formerly of Soul II Soul and Ivor Novello-winning producer. 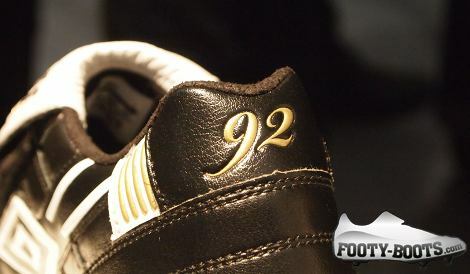 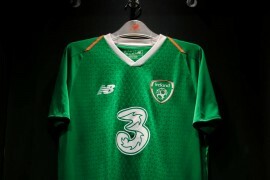 As the event filled up with media and football fans alike, many admiring glances were cast of the new Umbro Speciali 92 collection. 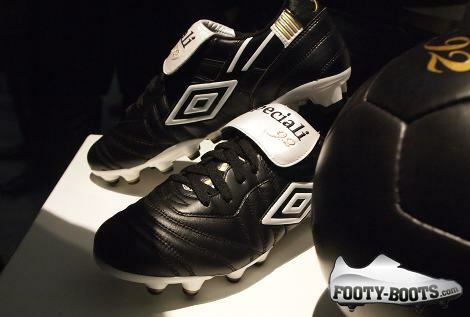 Whilst the leather Anthem Jacket and casual shoes were a definite hit, the real stars of the display were – as one would expect – the football boots themselves. 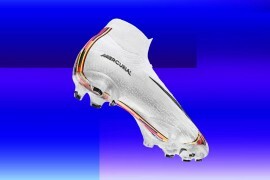 Many journo’s were spotted picking up one of the black leather throwback cleats and regaling the nearest person with some of their own personal Speciali memories – whether their captive audience liked it or not! 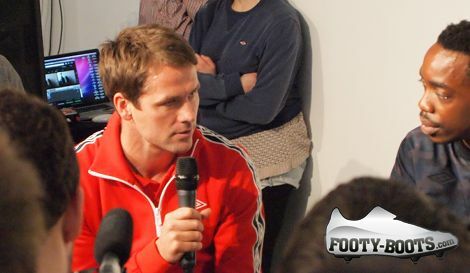 Speaking of Speciali memories, almost every wall in the gallery was outfitted with a projector, which played videos of some of the greatest ever Speciali goals, including Michael Owen’s wonder-goal against Argentina and Robert Carlos’ physics-bending free-kick. 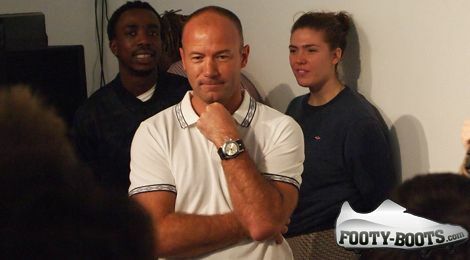 For some first-hand experience of what the Speciali is capable of, Umbro then brought out two very familiar faces in the form of legendary England strikers Alan Shearer and Michael Owen! 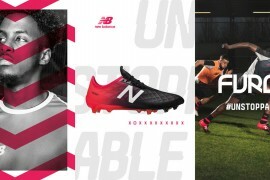 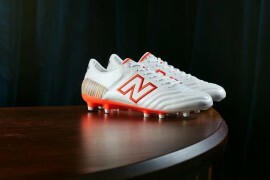 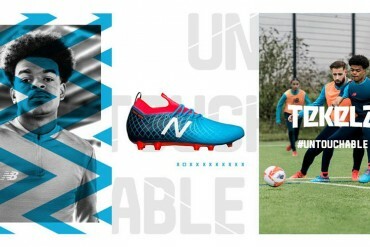 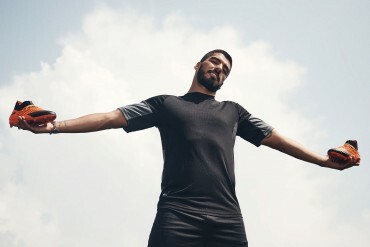 The two record-breaking strikers were only too happy to discuss their favourite goals in the Speciali, and tell us what they thought of the old-meets-new Umbro Speciali 92, as well as their take on some of the beautiful game’s more garish football boots (more on that in another piece!). 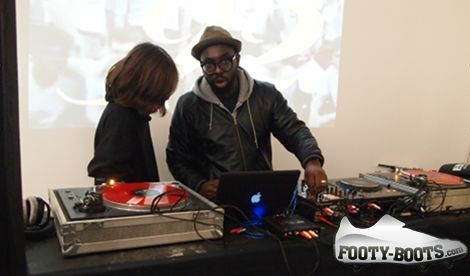 After a good chat with the amassed-media, both Owen and Shearer took the time to pose for photos and shake hands with just about everyone in the room, before attentions turned to Mercury-nominated artist Ghostpoet, who took to the decks for a post-interview session. 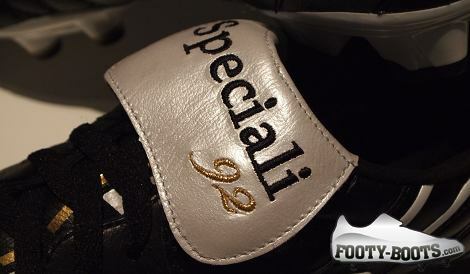 All in all, a very fitting celebration of 20 years of the Umbro Speciali – here’s to another successful 20! 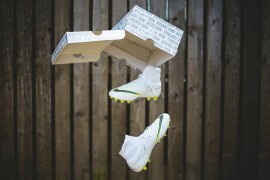 Classy boot and a classy do – wish I could have been there! 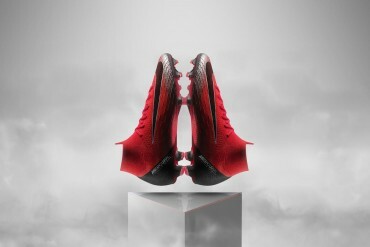 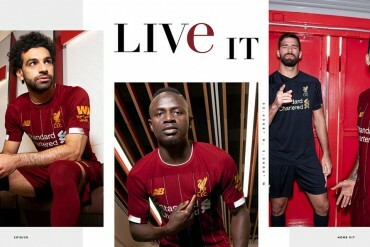 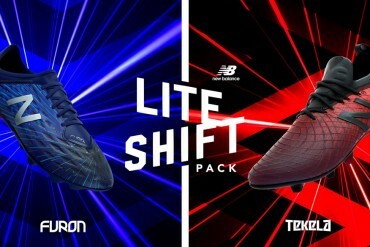 cant wait to get these in the store they look great!